"I am Duo. I'm intrigued to study the behavior of ordinary people, so I'll accompany you for a while." I am Duo. I'm intrigued to study the behavior of ordinary people, so I'll accompany you for a while. Ordinary people are such admirable things. Let me share my wisdom with you. Knowledge guides this world. One Hundred Thousand Stars, Atlas Coelestis. There's no shame in this defeat. I am a genius, after all. A child prodigy whose parents are Japanse and Indian. He has obtained over 10 doctorares via virtual schooling in fields such as mathematics and physics. He is the guild master if the Hongo Guild located in Bunkyo Ward and also operates as a student think tank. Duo is a nickname with several origins, one of wich being that there are two Ds in his full name. He is surprisingle friendly toward people who treat him in a manner appropriate to his young age. A stoic Japanese/Indian child prodigy, who has more than 10 Doctorate degrees in various fields, including mathematics and physics, through distance learning. 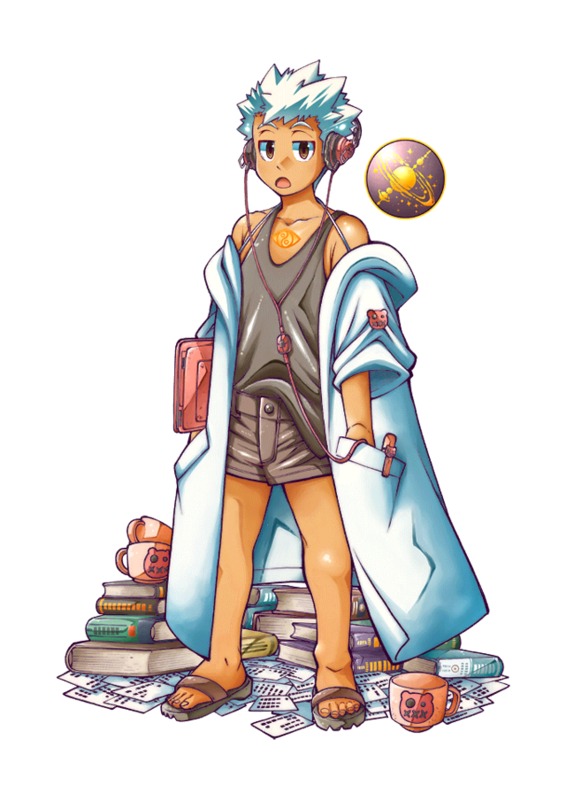 Duo is acting leader of Wisemen, a guild and student think tank based in his home ward of Bunkyo. Duo is actually a nickname given to him for various reasons, one being that his given name and surname both begin with "D". Suprisingly, he doesn't mind occasionally being seen as a kid. 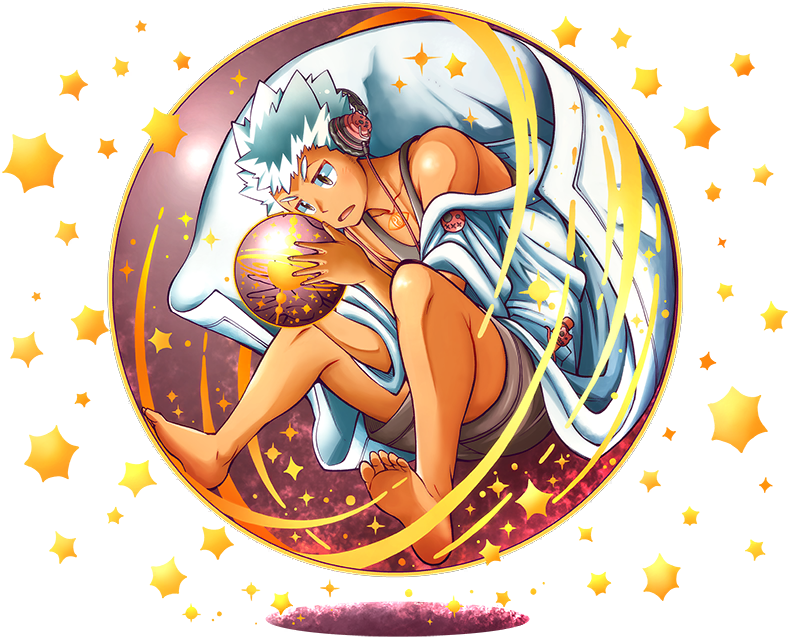 His Celestial Globe Sacred Artifact is an external processing machine that acts as his second brain. It can house thoughts as vast as the universe, allowing him to conduct thought experiments that exclude all outside interference. By doing so, he was able to ascertain the true nature of the game before anyone else. His older brother practically worships him, which he finds annoying, but he is grateful none-the-less. His celestial globe is his Sacred Artifact, an external thought machine that acts as a second brain. Enveloped in the sphere, Duo can while away long hours performing thought experiments, free from all outside intervention. It's thanks to this that he quickly deduced the nature of the app game. As cold and indifferent as he may seem, he's still a younger brother at heart, and fondly admires his older brother Shuichi. The name of Duo's charge skill comes from the Atlas Coelestis, a star map first published in 1729. Your request has been granted, his LB3 skill from his 5 stars form "Fount of Wisdom" got a skill quest that makes it way better.